The author selected Software in the Public Interest to receive a donation as part of the Write for DOnations program. The Elastic Stack — formerly known as the ELK Stack — is a collection of open-source software produced by Elastic which allows you to search, analyze, and visualize logs generated from any source in any format, a practice known as centralized logging. Centralized logging can be very useful when attempting to identify problems with your servers or applications, as it allows you to search through all of your logs in a single place. It’s also useful because it allows you to identify issues that span multiple servers by correlating their logs during a specific time frame. Elasticsearch: a distributed RESTful search engine which stores all of the collected data. Logstash: the data processing component of the Elastic Stack which sends incoming data to Elasticsearch. Kibana: a web interface for searching and visualizing logs. Beats: lightweight, single-purpose data shippers that can send data from hundreds or thousands of machines to either Logstash or Elasticsearch. In this tutorial, you will install the Elastic Stack on a CentOS 7 server. You will learn how to install all of the components of the Elastic Stack — including Filebeat, a Beat used for forwarding and centralizing logs and files — and configure them to gather and visualize system logs. Additionally, because Kibana is normally only available on the localhost, you will use Nginx to proxy it so it will be accessible over a web browser. At the end of this tutorial, you will have all of these components installed on a single server, referred to as the Elastic Stack server. Note: When installing the Elastic Stack, you should use the same version across the entire stack. This tutorial uses the latest versions of each component, which are, at the time of this writing, Elasticsearch 6.5.2, Kibana 6.5.2, Logstash 6.5.2, and Filebeat 6.5.2. Java 8 — which is required by Elasticsearch and Logstash — installed on your server. Note that Java 9 is not supported. To install this, follow the “Install OpenJDK 8 JRE” section of our guide on how to install Java on CentOS. Nginx installed on your server, which you will configure later in this guide as a reverse proxy for Kibana. Follow our guide on How To Install Nginx on CentOS 7 to set this up. Additionally, because the Elastic Stack is used to access valuable information about your server that you would not want unauthorized users to access, it’s important that you keep your server secure by installing a TLS/SSL certificate. This is optional but strongly encouraged. Because you will ultimately make changes to your Nginx server block over the course of this guide, we suggest putting this security in place by completing the Let’s Encrypt on CentOS 7 guide immediately after this tutorial’s second step. A fully qualified domain name (FQDN). This tutorial will use example.com throughout. You can purchase a domain name on Namecheap, get one for free on Freenom, or use the domain registrar of your choice. Both of the following DNS records set up for your server. You can follow this introduction to DigitalOcean DNS for details on how to add them. The Elastic Stack components are not available through the package manager by default, but you can install them with yum by adding Elastic’s package repository. All of the Elastic Stack’s packages are signed with the Elasticsearch signing key in order to protect your system from package spoofing. Packages which have been authenticated using the key will be considered trusted by your package manager. In this step, you will import the Elasticsearch public GPG key and add the Elastic repository in order to install Elasticsearch. To provide yum with the information it needs to download and install the components of the Elastic Stack, enter insert mode by pressing i and add the following lines to the file. Here you have included the human-readable name of the repo, the baseurl of the repo’s data directory, and the gpgkey required to verify Elastic packages. When you’re finished, press ESC to leave insert mode, then :wq and ENTER to save and exit the file. To learn more about the text editor vi and its successor vim, check out our Installing and Using the Vim Text Editor on a Cloud Server tutorial. With the repo added, you can now install the Elastic Stack. According to the official documentation, you should install Elasticsearch before the other components. Installing in this order ensures that the components each product depends on are correctly in place. Note: Elasticsearch’s configuration file is in YAML format, which means that indentation is very important! Be sure that you do not add any extra spaces as you edit this file. 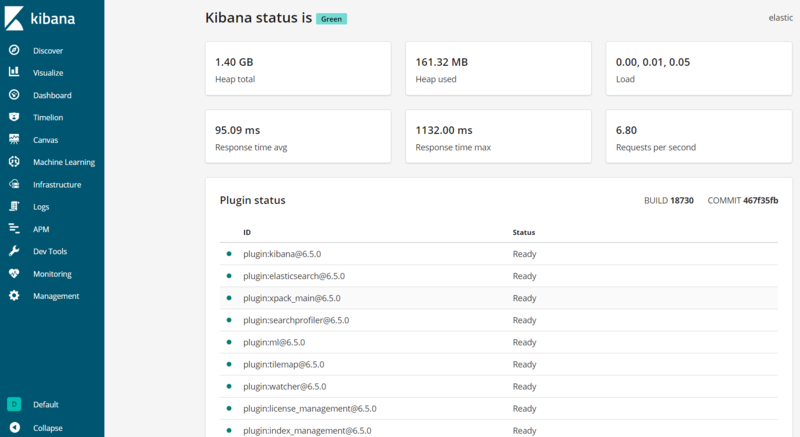 Now that Elasticsearch is up and running, let’s install Kibana, the next component of the Elastic Stack. According to the installation order in the official documentation, you should install Kibana as the next component after Elasticsearch. After setting Kibana up, we will be able to use its interface to search through and visualize the data that Elasticsearch stores. Because Kibana is configured to only listen on localhost, we must set up a reverse proxy to allow external access to it. We will use Nginx for this purpose, which should already be installed on your server. First, use the openssl command to create an administrative Kibana user which you'll use to access the Kibana web interface. As an example, we will name this account kibanaadmin, but to ensure greater security we recommend that you choose a non-standard name for your user that would be difficult to guess. Enter and confirm a password at the prompt. Remember or take note of this login, as you will need it to access the Kibana web interface. Add the following code block into the file, being sure to update example.com and www.example.com to match your server's FQDN or public IP address. This code configures Nginx to direct your server's HTTP traffic to the Kibana application, which is listening on localhost:5601. Additionally, it configures Nginx to read the htpasswd.users file and require basic authentication. You can learn more about SELinux in the tutorial An Introduction to SELinux on CentOS 7. This status page displays information about the server’s resource usage and lists the installed plugins. Note: As mentioned in the Prerequisites section, it is recommended that you enable SSL/TLS on your server. You can follow this tutorial now to obtain a free SSL certificate for Nginx on CentOS 7. After obtaining your SSL/TLS certificates, you can come back and complete this tutorial. Now that the Kibana dashboard is configured, let's install the next component: Logstash. Although it's possible for Beats to send data directly to the Elasticsearch database, we recommend using Logstash to process the data first. This will allow you to collect data from different sources, transform it into a common format, and export it to another database. After installing Logstash, you can move on to configuring it. Logstash's configuration files are written in the JSON format and reside in the /etc/logstash/conf.d directory. As you configure it, it's helpful to think of Logstash as a pipeline which takes in data at one end, processes it in one way or another, and sends it out to its destination (in this case, the destination being Elasticsearch). 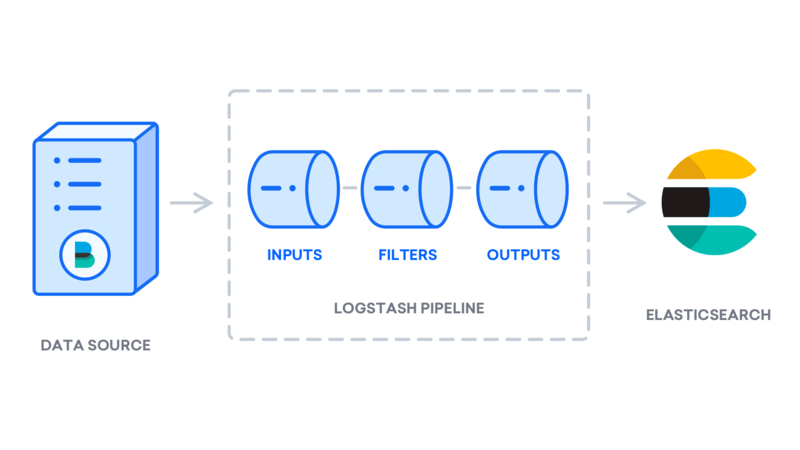 A Logstash pipeline has two required elements, input and output, and one optional element, filter. The input plugins consume data from a source, the filter plugins process the data, and the output plugins write the data to a destination. Insert the following input configuration. This specifies a beats input that will listen on TCP port 5044. Save and close the file when finished. If you want to add filters for other applications that use the Filebeat input, be sure to name the files so they're sorted between the input and the output configuration, meaning that the file names should begin with a two-digit number between 02 and 30. If there are no syntax errors, your output will display Configruation OK after a few seconds. If you don't see this in your output, check for any errors that appear in your output and update your configuration to correct them. 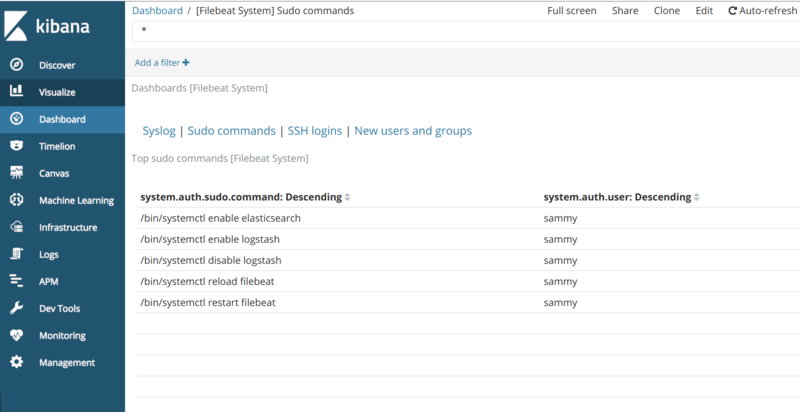 Now that Logstash is running correctly and is fully configured, let's install Filebeat. Metricbeat: collects metrics from your systems and services. In this tutorial, we will use Filebeat to forward local logs to our Elastic Stack. Next, configure Filebeat to connect to Logstash. Here, we will modify the example configuration file that comes with Filebeat. Note: As with Elasticsearch, Filebeat's configuration file is in YAML format. This means that proper indentation is crucial, so be sure to use the same number of spaces that are indicated in these instructions. You can now extend the functionality of Filebeat with Filebeat modules. In this tutorial, you will use the system module, which collects and parses logs created by the system logging service of common Linux distributions. By default, Filebeat is configured to use default paths for the syslog and authorization logs. In the case of this tutorial, you do not need to change anything in the configuration. You can see the parameters of the module in the /etc/filebeat/modules.d/system.yml configuration file. Next, load the index template into Elasticsearch. An Elasticsearch index is a collection of documents that have similar characteristics. Indexes are identified with a name, which is used to refer to the index when performing various operations within it. The index template will be automatically applied when a new index is created. Filebeat comes packaged with sample Kibana dashboards that allow you to visualize Filebeat data in Kibana. Before you can use the dashboards, you need to create the index pattern and load the dashboards into Kibana. 2018-12-05T21:23:33.815Z        INFO    template/load.go:129    Template already exists and will not be overwritten. 2018-12-05T21:24:03.981Z        INFO    instance/beat.go:717    Kibana dashboards successfully loaded. If you've set up your Elastic Stack correctly, Filebeat will begin shipping your syslog and authorization logs to Logstash, which will then load that data into Elasticsearch. If your output shows 0 total hits, Elasticsearch is not loading any logs under the index you searched for, and you will need to review your setup for errors. If you received the expected output, continue to the next step, in which you'll become familiar with some of Kibana's dashboards. Let's look at Kibana, the web interface that we installed earlier. Here, you can search and browse through your logs and also customize your dashboard. At this point, though, there won't be much in there because you are only gathering syslogs from your Elastic Stack server. Use the left-hand panel to navigate to the Dashboard page and search for the Filebeat System dashboards. Once there, you can search for the sample dashboards that come with Filebeat's system module. In this tutorial, you installed and configured the Elastic Stack to collect and analyze system logs. Remember that you can send just about any type of log or indexed data to Logstash using Beats, but the data becomes even more useful if it is parsed and structured with a Logstash filter, as this transforms the data into a consistent format that can be read easily by Elasticsearch. The author selected the Internet Archive to receive a donation as part of the Write for DOnations program. In this tutorial, you will install the Elastic Stack on an Ubuntu 18.04 server. You will learn how to install all of the components of the Elastic Stack — including Filebeat, a Beat used for forwarding and centralizing logs and files — and configure them to gather and visualize system logs. Additionally, because Kibana is normally only available on the localhost, we will use Nginx to proxy it so it will be accessible over a web browser. We will install all of these components on a single server, which we will refer to as our Elastic Stack server. Note: When installing the Elastic Stack, you must use the same version across the entire stack. In this tutorial we will install the latest versions of the entire stack which are, at the time of this writing, Elasticsearch 6.4.3, Kibana 6.4.3, Logstash 6.4.3, and Filebeat 6.4.3. Java 8 — which is required by Elasticsearch and Logstash — installed on your server. Note that Java 9 is not supported. To install this, follow the “Installing the Oracle JDK” section of our guide on how to install Java 8 on Ubuntu 18.04. Nginx installed on your server, which we will configure later in this guide as a reverse proxy for Kibana. Follow our guide on How to Install Nginx on Ubuntu 18.04 to set this up. Additionally, because the Elastic Stack is used to access valuable information about your server that you would not want unauthorized users to access, it’s important that you keep your server secure by installing a TLS/SSL certificate. This is optional but strongly encouraged. The Elastic Stack components are not available in Ubuntu’s default package repositories. They can, however, be installed with APT after adding Elastic’s package source list. All of the Elastic Stack’s packages are signed with the Elasticsearch signing key in order to protect your system from package spoofing. Packages which have been authenticated using the key will be considered trusted by your package manager. In this step, you will import the Elasticsearch public GPG key and add the Elastic package source list in order to install Elasticsearch. Note: Elasticsearch's configuration file is in YAML format, which means that indentation is very important! Be sure that you do not add any extra spaces as you edit this file. Now that Elasticsearch is up and running, let's install Kibana, the next component of the Elastic Stack. According to the official documentation, you should install Kibana only after installing Elasticsearch. Installing in this order ensures that the components each product depends on are correctly in place. First, use the openssl command to create an administrative Kibana user which you'll use to access the Kibana web interface. As an example we will name this account kibanaadmin, but to ensure greater security we recommend that you choose a non-standard name for your user that would be difficult to guess. Add the following code block into the file, being sure to update example.com to match your server's FQDN or public IP address. This code configures Nginx to direct your server's HTTP traffic to the Kibana application, which is listening on localhost:5601. Additionally, it configures Nginx to read the htpasswd.users file and require basic authentication. Note: As mentioned in the Prerequisites section, it is recommended that you enable SSL/TLS on your server. You can follow this tutorial now to obtain a free SSL certificate for Nginx on Ubuntu 18.04. 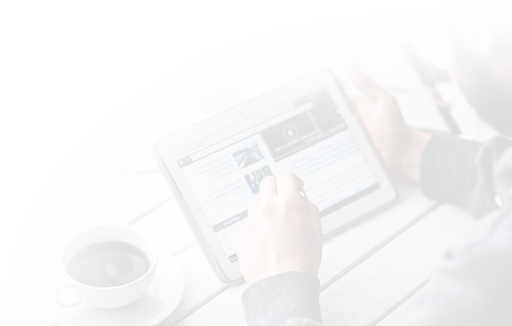 After obtaining your SSL/TLS certificates, you can come back and complete this tutorial. Although it's possible for Beats to send data directly to the Elasticsearch database, we recommend using Logstash to process the data. This will allow you to collect data from different sources, transform it into a common format, and export it to another database. In this tutorial we will use Filebeat to forward local logs to our Elastic Stack. The functionality of Filebeat can be extended with Filebeat modules. In this tutorial we will use the system module, which collects and parses logs created by the system logging service of common Linux distributions. If your output shows 0 total hits, Elasticsearch is not loading any logs under the index you searched for, and you will need to review your setup for errors. If you received the expected output, continue to the next step, in which we will see how to navigate through some of Kibana's dashboards. In this tutorial, you've learned how to install and configure the Elastic Stack to collect and analyze system logs. Remember that you can send just about any type of log or indexed data to Logstash using Beats, but the data becomes even more useful if it is parsed and structured with a Logstash filter, as this transforms the data into a consistent format that can be read easily by Elasticsearch.